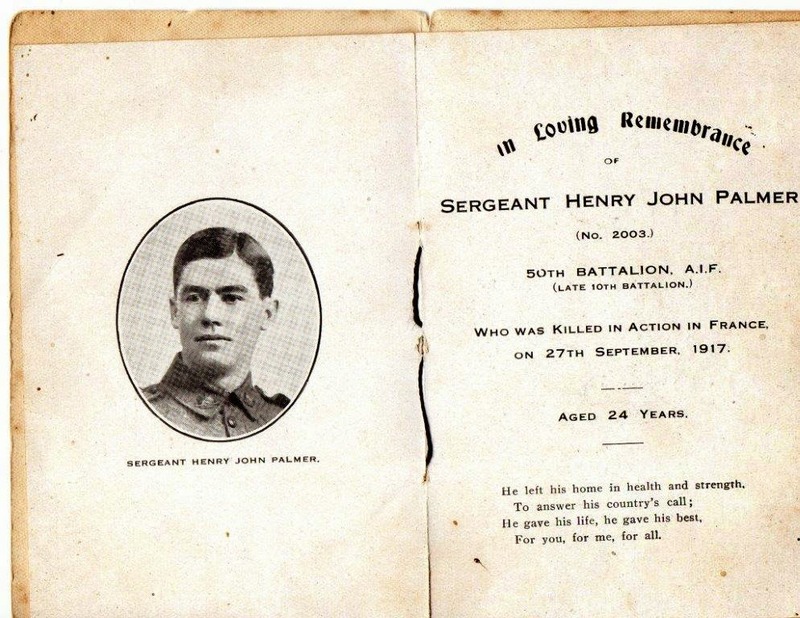 Today marks the 100th anniversary of the Gallipoli landing, so on this Anzac Day, I wanted to pay tribute to my great uncle Henry John (Jack) Palmer of the 50th Battalion AIF, who spent time at Anzac Cove in 1915 before being killed in action in France in 1917. 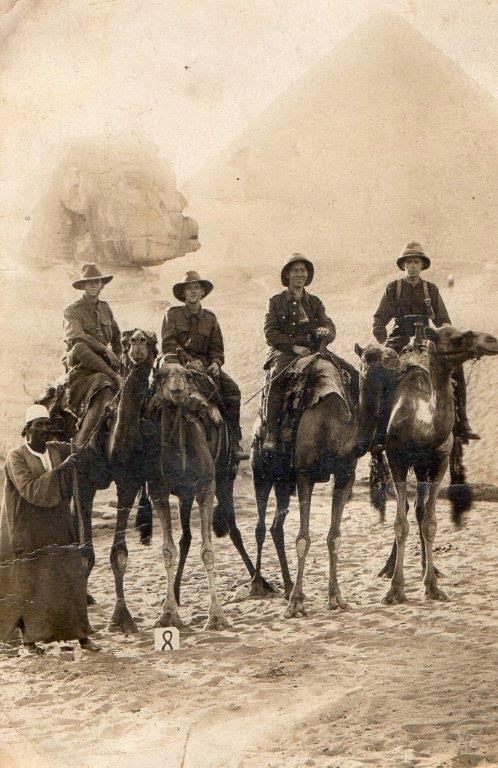 Some of his personal letters, record books and other items have been donated to the Australian War Memorial. 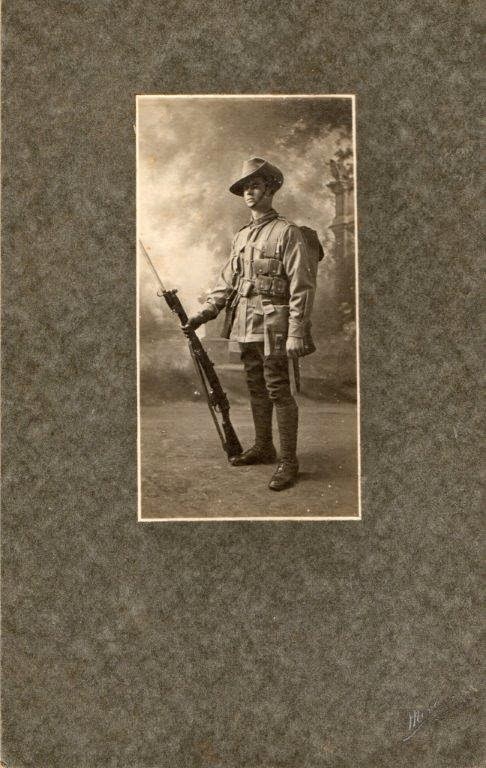 They have been in contact and requested to use Jack's images, and possibly some of his words, during the Anzac Day commemorations at Villers-Brettoneaux, which is a great honour for our family. Below is a letter he wrote to his aunt (my great grandmother) from Gallipoli. Just a line to let you know I am still well. 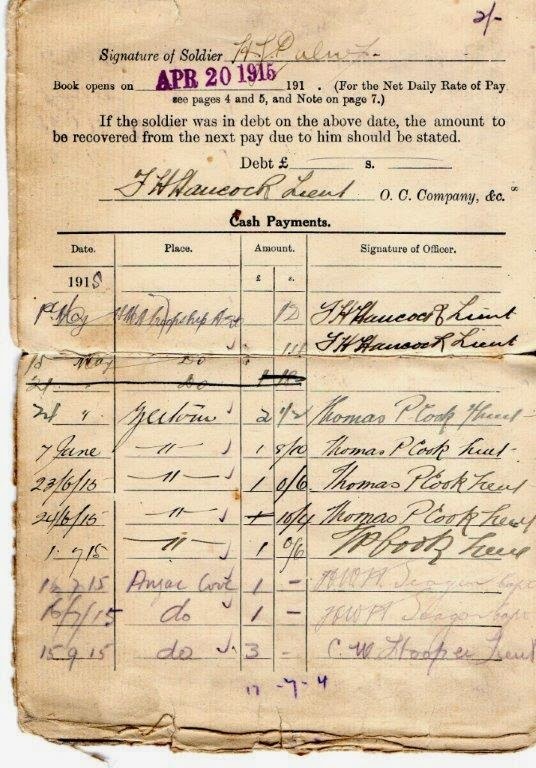 I received your letter today dated 22nd July with Albert's enclosed and was glad to hear they are having a good season over there, we are having lovely weather here, one couldn't wish for a better climate. We have had no rain yet, although it has threatened once or twice, winter will be here in about a month. I don't know how know we will stand the cold, they have snow here, it's quite cold enough of a morning now for me, the wind is very bleak. I'm well off for warm clothes, I expect they will issue us with winter clothing, if we stay here we shall need them. I got a parcel from home last mail with 4 pairs of socks, 2 singlets, 3 handkerchiefs and a pot of ?? ?, also some lollies, it couldn't have come at a more opportune time as I was in need of clean socks and singlets, I haven't been able to get down to the sea to do any washing for a week or two which is our only chance we get to wash anything. We get plenty of water to drink but none to do any washing with, not even to wash our face, I've been two or three weeks without a wash, I wet the corner of my towel and wipe my face, that's all, a lick and a promise. I might tell you, I've promised myself a lot of things when I get back besides a wash. One doesn't get any luxuries here. I don't expect it but still, I wish they would change the menu sometimes. We get bacon for breakfast, which is generally fat and you know how I like fat, boiled rice for dinner and for tea, bully beef stew but we're all hungry and eat it up. There is no mistake, hunger is the best sauce. We get 3 spoonfuls of rum every other day, it's very strong and my word, it warms the cockles of your heart, I don't like it but it keeps a man's pecker up. I found it hard here for a start but I'm quite used to it now, while I am writing this letter, the shrapnel are bursting all around me, of course I'm in my dugout. There is pieces of shell lobbing just outside but I take no notice. I've been missed by pieces of shell by inches only, but a miss is as good as a mile any day. I run no unnecessary risks in the course of one's duty, one has enough dangers to face without taking risks. I haven't much more room, so will close, hoping this finds you well as it leaves me. PS excuse bad handwriting as I haven't a roller top desk. Kiss May and Wally for me.